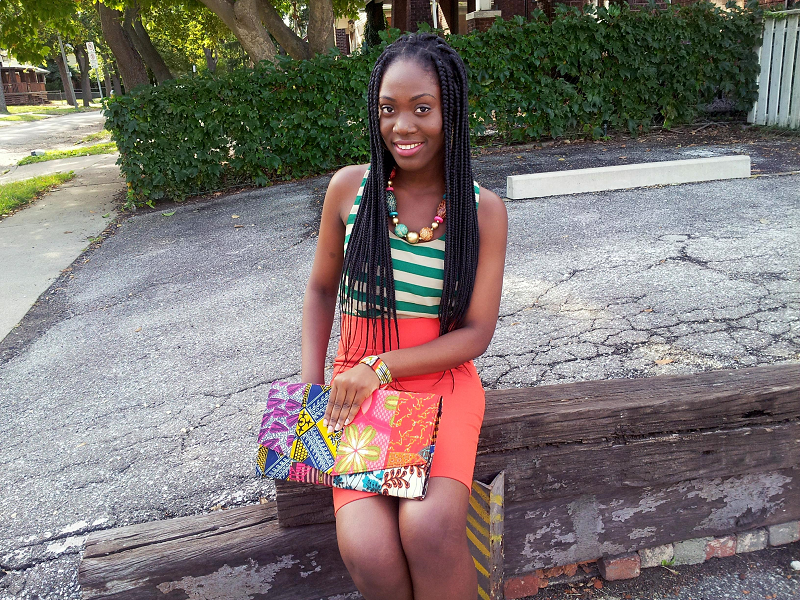 STYLED BY KALACK: Western Fashion Meets Ankara. Hello!!! Happy Friday!! How's your day going? I brought back with me from Ghana, some African print (commonly referred to as Ankara in Nigeria) accessories like:clutches, bangles, earrings and necklaces. This outfit was one of the results of my brainstorming on what to wear with the accessories. 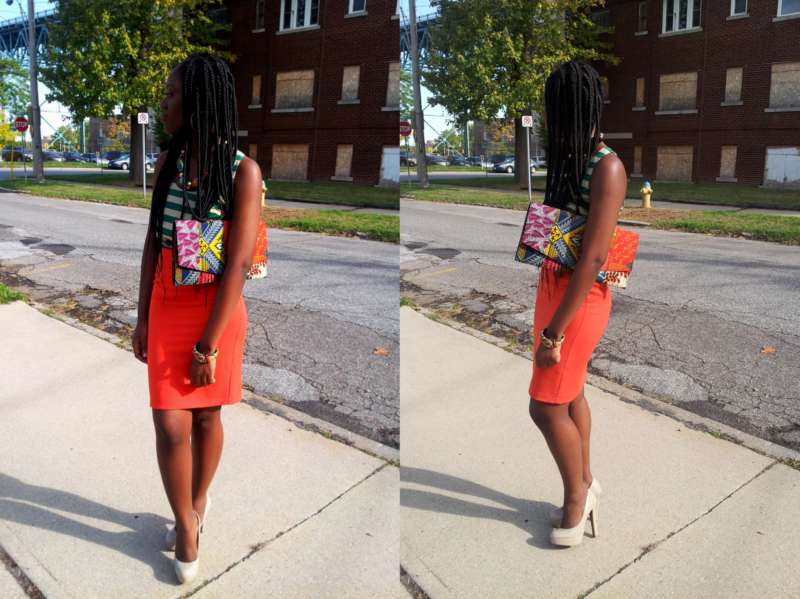 I ended up wearing this to church some weeks ago. What I like about this outfit most is, the clutch followed by the blouse. The stripes in front are bigger than the ones behind. Brilliant! Fun and bright! So summery!